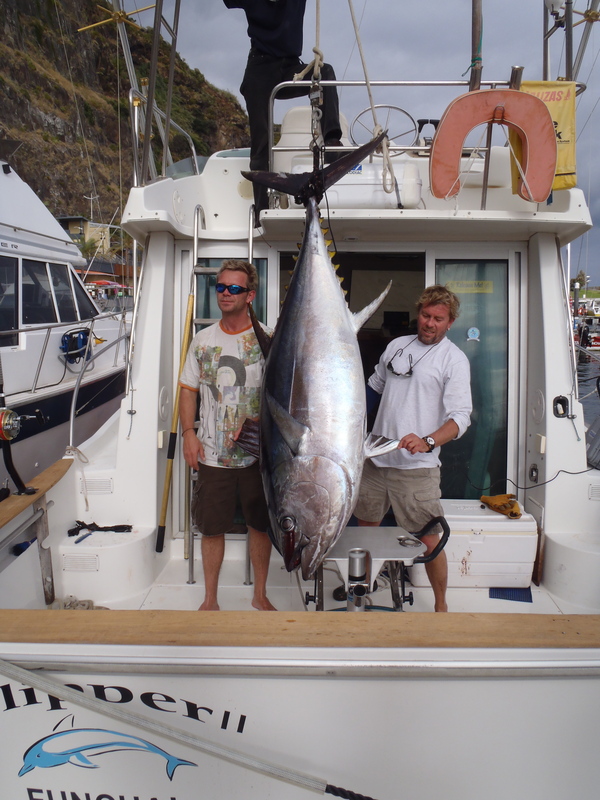 Just fished my first day in Madeira with Jonboy on the “Grander”. We had a look down to the west of Calheta, found some bait but no bites for us. 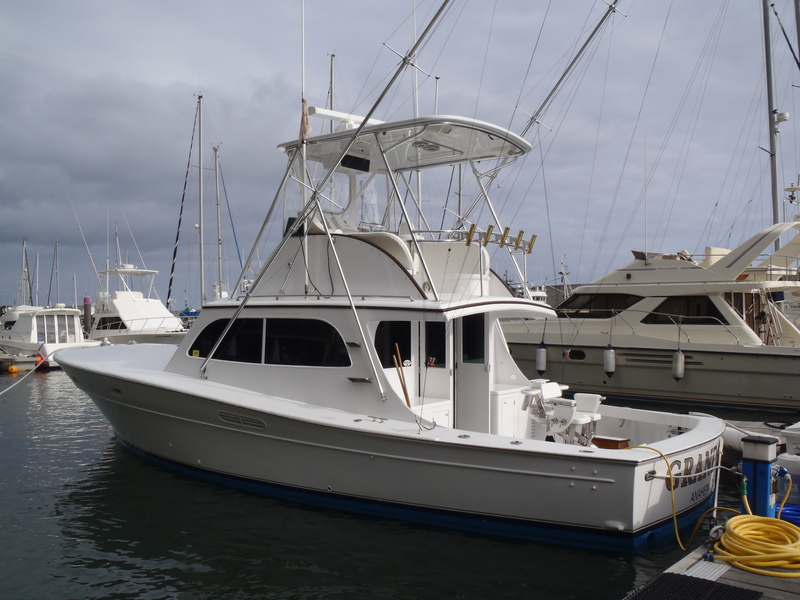 The “Flipper” was fishing just out the front of the marina where they got lucky with a 275# Big eye tuna. The “Salvegem” lost a big tuna in the same area and the Ribiero brothers trolled over to watch the “Flipper” fight their tuna and they hooked and caught a 700# blue marlin. The trade winds started blowing today and the currents pushing in the right direction so hopefully it’s all about to happen.